Thomas FORSTER (c. 1555 – 1648) was Alex’s 11th Great Grandfather; one of 4,096 in this generation of the Miller line. Thomas Forster (5) Esquire was born about 1555 in Gisburne, Yorkshire, England and was christened in Brunton, Northumberland. His parents were Cuthbert FORSTER and Elizabeth BRADFORD. Many sources say he was born in 1570, but that would mean he married at the age of ten. He married first Margaret Forster on 22 Jan 1580 in Gisburne, Yorkshire, England. He married second Elizabeth CARR. Thomas died 19 Jun 1648 in Brunton, Northumberland. Many sources say Thomas died in Braunton, Devon, England. The Forsters always lived in Northumberland, it not likely that Thomas would have moved to a similar sounding village on the other side of the country. Margaret Forester was the daughter of Richard Forester of Tuggall, Esq. Thomas and Margaret had one daughter Elizabeth. Elizabeth Carr was born about 1570 in Gisburne, Yorkshire, England, she was too young to marry in 1580. Her parents were William CARR (Carre) Esq. and Ursula BRANDLING. Elizabeth died in 20 Sep 1594 in Gisburne, Yorkshire, England. Some sources show children born later, maybe Thomas remarried. Sarah Larriford Martin Foster White 30 May 1681 in Ipswich, Essex, Mass. :Sources source state the Thomas was a Reverend. Brunton is a village in Northumberland, England. It is about 7 miles north of Alnwick, a short distance inland from the North Sea coast. Brunton is in the parliamentary constituency of Berwick-upon-Tweed. 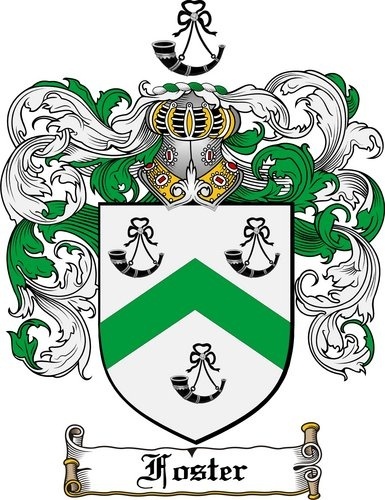 Elizabeth’s father William Carr was born 11 Nov 1551 in Ford, Northumberland. His parents were Thomas CARR (1521 in Ford, Northumberland or Esholt, West Yorkshire- 26 Jan 1558 in Stackhouse, Yorkshire) and Elizabeth HERON. (1530 – after 1554) He married Ursula Brandling on 22 Jan 1580 in of Gisburne, Yorkshire, England. William died 1589 in England. Elizabeth had two brothers and one sister Anne Brandling, William Buckton, and Richard Brandling. Gosforth is an area of Newcastle upon Tyne, Tyne and Wear, England, United Kingdom, to the north of the city centre. The origin of the area’s name is thought to have come from the title Gese Ford meaning “the ford over the Ouse”, referring to a crossing over the local River Ouse or Ouseburn, however others think that it comes from the Old English Gosaford meaning a ford where the geese dwell, and it is first recorded as Goseford in 1166. Richard Welford notes that the names of North and South Gosforth come from the north and south of the River Ouse. 2. John Foster immigrated to Scotland about 1640. John had a son who went to Ireland and grandsons to Lancaster Co PA in 1728. This entry was posted in 13th Generation, Line - Miller. Bookmark the permalink.